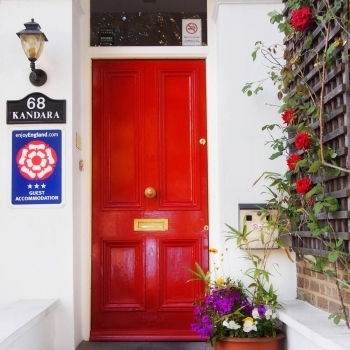 A warm welcome is guaranteed at Kandara Guest House in Islington, north London. A family-run bed & breakfast, providing B&B accommodation for over 60 years! Situated in a quiet, leafy residential area just minutes from Islington‘s outstanding theatres and restaurants. Kandara is conveniently located for transport into both the West End and the City of London. We take pride in providing high quality, clean and comfortable accommodation. Providing a much-loved base to explore the capital, as well as a conveniently placed "second home" for those temporarily working in the city.